Quick TR1300A is suitable to the hot air lead free de-soldering. 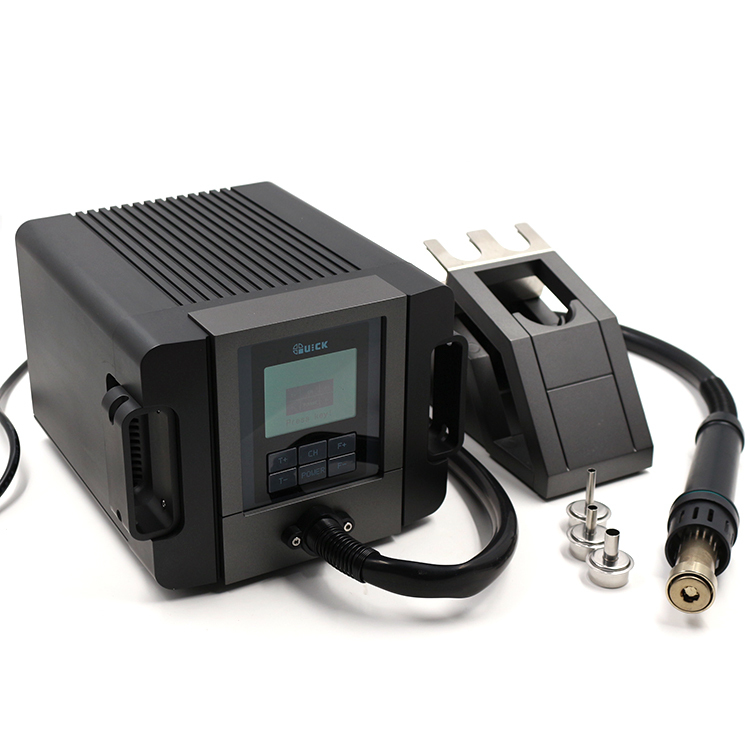 Quick TR1300A Hot Air Smd Rework Station is 1300W. 1. Multipoint temperature digital calibration, Password lock function. 2. Can preset technological parameter of three gallery, more practical. 3. Temperature alarm function, temperature changer. 4. Adopt two-stage supercharging brushless pump, air pressure stability, long life. 5. Set the parameters such as temperature, air velocity and time. 6. Ceramic heating element, plug type design. 1. It is suitable to the de-soldering of the SMD components, such as SOIC, CHIP, QFP, PLCC, BGA and so on. 2. It is suitable to hot shrink, drying, remove lacquer and mucosity, thaw, preheating, disinfect and so on. 3. It is suitable to the situation with different grade airflow. 4. It is suitable to the hot air lead free de-soldering.